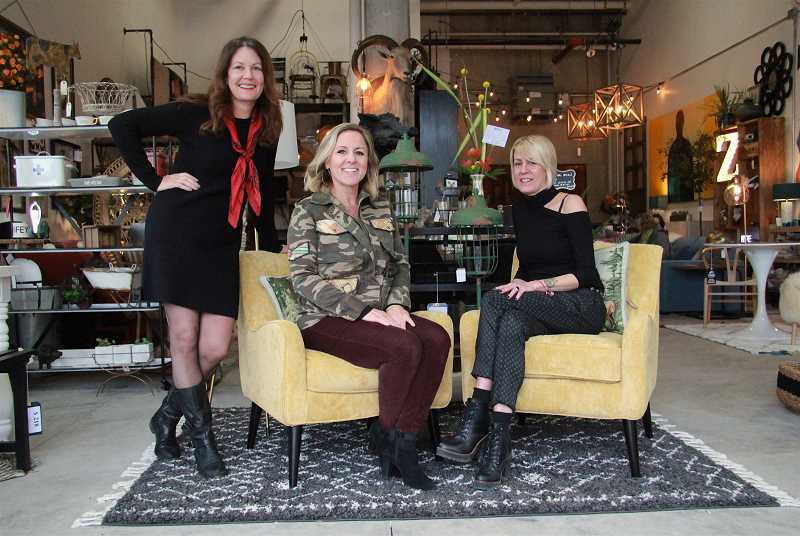 City Home opened its pop-up shop in The Windward last week, bringing its vintage-inspired, mid-century modern, reclaimed and industrial home goods to downtown Lake Oswego. The shop, located at 120 A Ave., next door to Salt & Straw Ice Cream, is the fourth location for owner Kim Pellet, who lived in Lake Oswego's Westlake area for 20 years and now lives in West Linn. She says shopping at City Home is all about the experience. "There is lots of competition for places to buy furniture and home accessories," Pellet says. 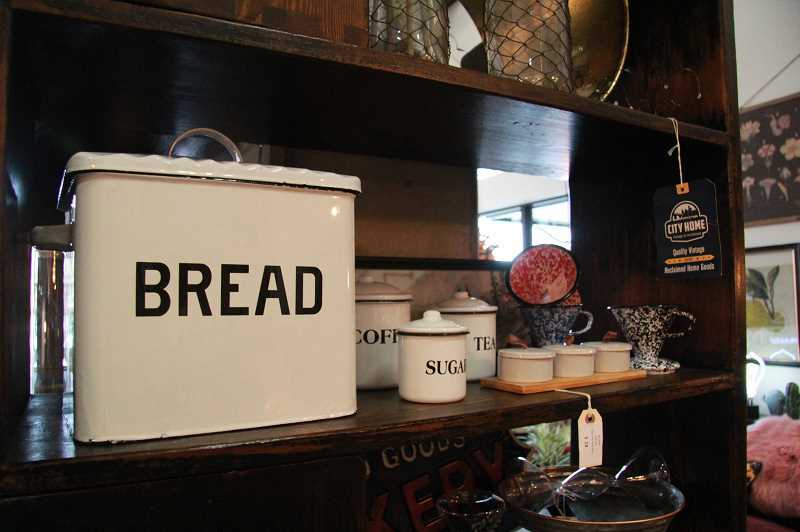 "City Home is filled with one-of-a-kind items, which can make your home truly personal. And there is a story behind every object." 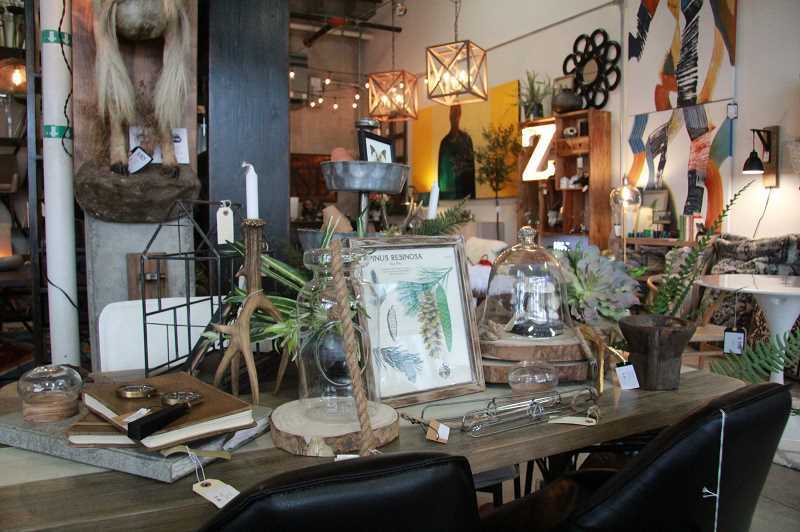 From taxidermy, botanicals and a gas station lube display case to metal and wood signs, unique hangers, chandeliers and more — including tables, chairs and sofas, of course — the store offers a mix of vintage-inspired and classic one-of-a-kind items. Some, such as unique signs or European baby baths, may take years to sell, but Pellet isn't worried. "I don't mind holding onto a piece for a couple of years," she says. "A buyer will eventually come." Pellet started collecting at an early age by going to garage sales with her family. She has more than 30 years of experience selling home decor and furniture in the Portland area. She started City Home in 2012 and has locations at 217 S.E. Taylor St., in Urbanite at 1005 N.E. Grand Ave. and at 825 N.W. Davis St. in Portland. The pop-up, which will be open through July 31, is her first foray into the suburbs. 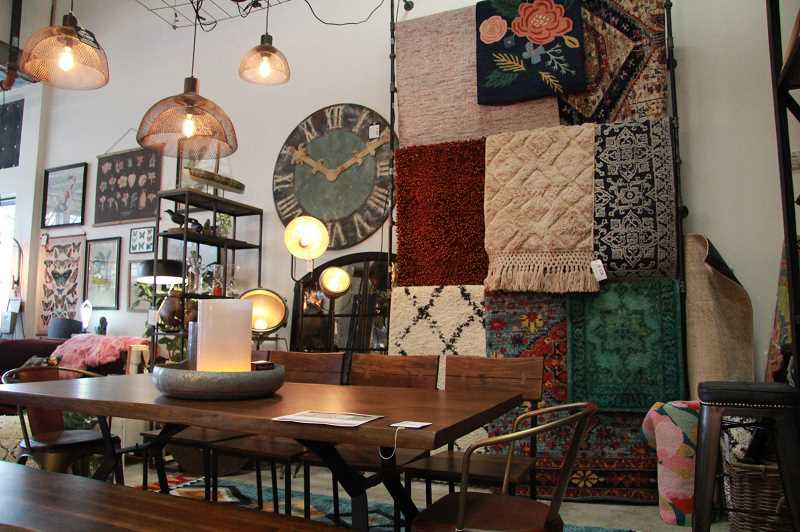 In addition to offering unique items for sale, City Home offers interior design services, real estate staging services and furniture and home decor rental services. "Employees at City Home are not sales clerks," Pellet says. "They are interior designers or home furnishing experts." Those experts can help customers freshen their home, she says, by adding new items to compliment what they already have or changing accessories, upholstery or other assets. "The mix of vintage and classic is interesting," she says. "We can give you new ideas for how to use what you already have." From hanging art and selecting fabrics for sofas to whole-home furniture selection and placement, the crew can take the stress out of the process of furnishing your space. An hour of onsite design consulting is available for $100; the fee is waived with in-store purchase. The real estate staging program offers competitive a la carte pricing. "We find clients touring the property, and ultimately the home buyers fall in love with our furnishings and make in-store purchases, which allows us to keep staging fees low for our clients," Pellet says. The furniture and home decor rental program is built especially for editorial photoshoots and film projects. City Home focuses on sourcing furniture as locally as possible to reduce delivery time on customized orders, like tables, sofas and chairs. The designers have access to more than 200 fabrics, including pet- and family-friendly fabrics for sofas and chairs. They also can order tables in varying lengths to accomodate larger families and gatherings. City Home literally offers something for every home decor style imaginable, all at moderate prices. Pellet encourages shoppers to visit frequently, as the store is refreshed constantly. "If you see something you like, don't hesitate to buy it," she says, "because it likely won't be there long." Pellet says she enjoys the village feel of The Windward and is delighted that the project's management offered the space for a pop-up shop. "I love being back in the community," she says. City Home's Lake Oswego store will be open 11 a.m.-6 p.m. Monday through Saturday and 11 a.m.-5 p.m. Sunday. To learn more, visit http://www.cityhomepdx.com, call 503-888-8717 or follow the company at @cityhomepdx.